This neat, and clean ranch home is ready for new owners. It has tons of features! 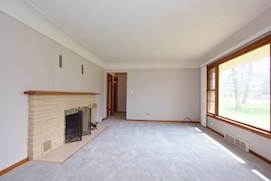 The spacious family room features a cozy wood burning fireplace and large picture window. A separate living room with brand new carpet adds to the living space. The kitchen has lovely hardwood flooring and a spacious eating area. Two full bathrooms are a convenience. The laundry room has direct access door to the backyard. A huge shed in the back yard has electric service and could certainly be used as a functional workshop or “she-shed!. A attached two car garage with new garage doors is a true luxury in Michigan. A lovely fenced backyard is safe for pets and the kids to enjoy. All on a acre lot! Minutes to I-94, schools, shopping, and everything you need. A new water heater in 2017 too. 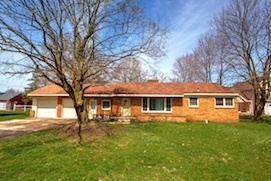 This is a priced to sell home in the Ann Arbor area real estate market! Come see this one today.